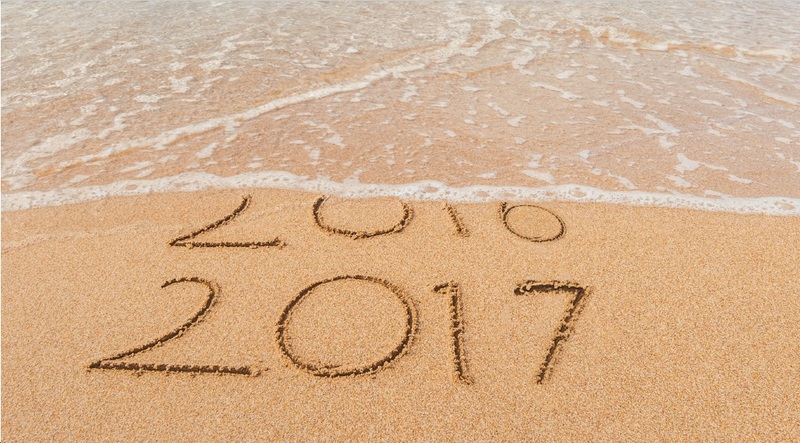 Why not start the new year as you mean to go on – with a cruise? Then you can party like it’s 2017 without worrying about taxis or designated drivers – it will be just a short walk back to your cabin. Cruise entertainment equals anything you can find on land: there will be fun and games all round your ship – and if you fly to warmer waters in the Caribbean or Far East you could be dancing a Hogmanay conga round the pool during a decadent deck disco. When the party’s over, you can set yourself up for the year ahead by relaxing at sea or visiting destinations you have always longed to explore. 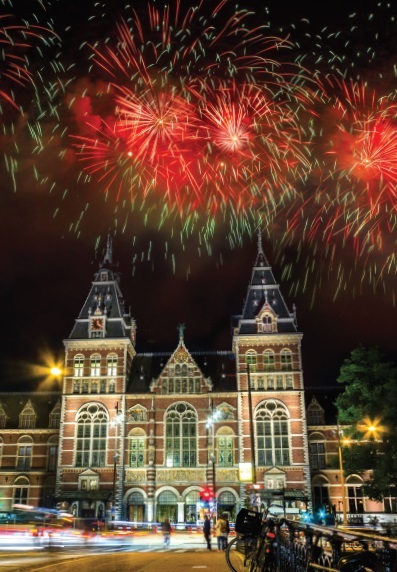 Whether you want family fun or enriching adventure, and whether your holiday is long-haul or long weekend, there’s a whole world of choice – so take a look at our Top Ten cruises and have a happy new year! Take a four-night party break on P&O Cruises’ Ventura. There’s no need to bother about flying to the ship – you sail from Southampton so the fun begins immediately. Ventura then calls at Ze ebrugge for excursions to Brussels and Bruges, and docks in Amsterdam overnight for New Year’s Eve. On-board entertainment is taken care of by singer Michael Lynche, who rose to fame on American Idol, and David Julien, whose song Nobody But You has been streamed one million times from Spotify. Also in the mix are Take That tribute band Beautiful World and comedy legend Fogwell Flax. The fare includes round-the-clock children’s clubs, full-board meals and all the entertainment. Fares from £799 per person (based on two sharing an inside cabin). See www. pocruises.com, call 0843 373 0111 or visit your local travel agent. The celebrities who strut their stuff in St Tropez or Cannes during the summer take a sunshine break in the Caribbean in January. Follow the example of Simon Cowell and P Diddy, Justin Bieber and Cara Delevingne – but instead of spending a fortune to stay on one island, take a value-for-money cruise with Viking. 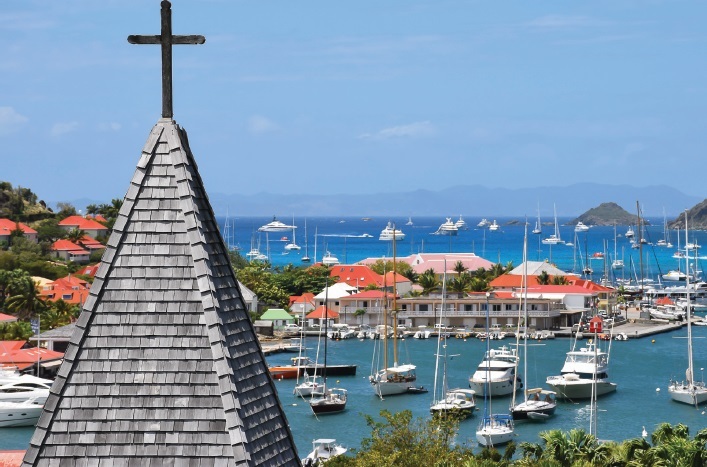 Their 11-night West Indies Explorer itinerary visits a new port every day – starting in San Juan, Puerto Rico, and visiting Tortola in the British Virgin Islands; St John’s, Antigua; Castries, St Lucia; Bridgetown, Barbados; Pointe à Petre, Guadeloupe; Basseterre, St Kitts; Philipsburg, St Martin; and duty-free shopping capital Charlotte Amalie, St Thomas. The weather will be hot but Viking Sky is among the coolest ships afloat, a haven of elegant Scandinavian design with a selection of restaurants serving sumptuous cuisine. Fares from £3,140 per person including flights, for two sharing a de luxe veranda stateroom, departing December 27. See www.vikingcruises. co.uk or call 0800 298 9700. Fancy combining the theme parks of Orlando and the endless beaches of Miami and Fort Lauderdale with a trip to the Caribbean? Choose a Florida-based cruise and your dream ticket couldn’t be easier to arrange. Ask your travel agent to put it together, adding a hotel stay on the mainland to an eight-night southern Caribbean voyage on the 2,974-passenger Carnival Splendor. The ship sails round-trip from Miami and visits the Carnival resort at Grand Turk before heading for the ports of La Romana in the Dominican Republic and the islands of Aruba and Curaçao in the Netherlands Antilles. Fares from £919 per person, cruise only (build your own land package and flights) with $100 per stateroom on-board credit. Departs December 28. See www.carnival.co.uk or call 0843 374 2272. January is the coolest month of the year in the Arabian Gulf, but with temperatures in the 70s and 80s it’s a holiday hotspot for Brits. The shopping malls of Dubai and the skyscrapers of Abu Dhabi are offset by the more rustic charm of Oman, and on this seven-night cruise aboard Royal Caribbean’s 2,000-passenger Vision of the Seas, there’s a chance to spend a day at the off-the-beaten track destination of Khasab – sometimes compared to Norway because of its spectacular cliffs. There’s a day at sea to make the most of what the ship has to offer, plus overnight stays in Muscat and Dubai, and a full day in port at Abu Dhabi. 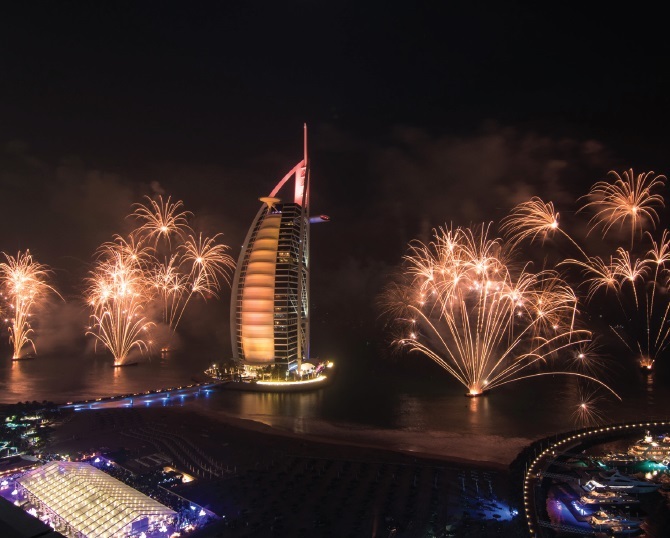 New Year’s Eve will be celebrated with a party as the ship sails from Abu Dhabi to Dubai. Fares from £1,385 per person, based on two sharing an interior stateroom. Fly from Gatwick to Dubai on December 26. See www. royalcaribbean.co.uk or call 0844 493 4005. Start the new year by washing that man (or woman) right out of your hair and spending some enchanted evenings in the South Pacific – the earthly paradise that inspired a hit musical and a famous painter. Paul Gauguin is the name on the side of your ship – and of your cruise line – and this magnificent vessel will show you the best of the region during a one-week cruise to Tahiti and the Society Islands, with stops in lush Huahine, beautiful Bora Bora and postcard-perfect Moorea. MS Paul Gauguin carries just 332 passengers, with two crew members for every three guests. Restaurant menus are overseen by Michelin-starred chefs, and there’s a fitness centre and spa with treatments from Algotherm. There’s more to the shore excursions than days at the beach (although that’s certainly an option), including pearl farms, snorkelling, canoeing and off-road adventures. Fares from £5,826pp for seven nights, based on two sharing an ocean-view stateroom. All meals, soft drinks, selected alcoholic drinks and tips are included. Fly to Papeete, French Polynesia, and sail on Dec 28 with Paul Gauguin Cruises. See pgcruises.com or call 020 7399 7691. 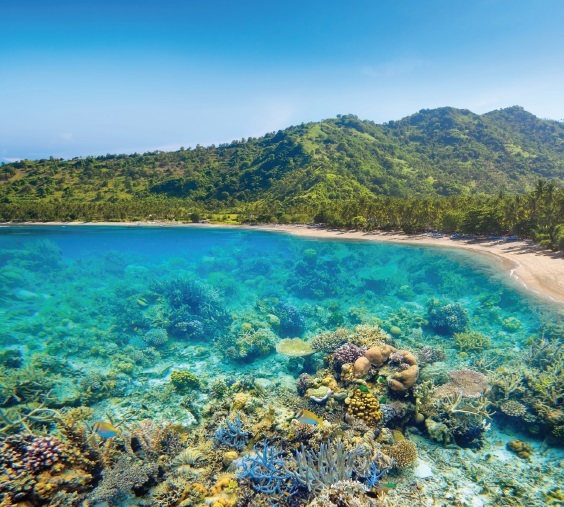 Head east for an exotic start to the new year on board Diamond Princess, with a 12-day cruise around the Malaysian Peninsula and Indonesia. The voyage is a round trip from Singapore and includes five sea days for sublime relaxation in the sun. The island of Bali is the first port of call, and the ship is in Lombok, Indonesia, on December 31, leaving port in time to start the New Year’s Eve parties at sea. It’s January 4 before you arrive at the Malaysian resort of Penang, and there are visits to Phuket in Thailand, Langkawi and Kuala Lumpur before the return to Singapore. Exciting shore-excursion possibilities include James Bond island, the Petronas Towers sky bridge, and Penang’s Temple of 10,000 Buddhas. Fares from £1,089 per person, cruise only, based on two sharing an inside cabin. Departing Singapore on December 27 for 12 days. See www.princess.com or call 0843 374 2401. 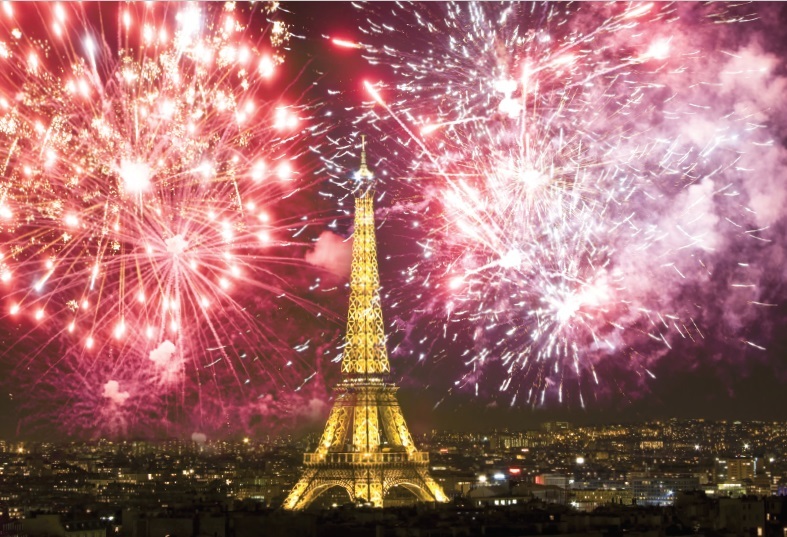 Mark New Year’s Eve with a celebration dinner in Paris on board the luxurious River Baroness during a seven-night Uniworld cruise on the Seine (all drinks included in the fare). France’s captivating capital glows with extra magic during the holidays, and guests on this voyage can also enjoy the majestic countryside while sailing along the river to Vernon, Les Andelys, Rouen and Mantes-la-Jolie. You’re sailing through history here, so don’t miss the opportunity to explore Rouen cathedral, where Richard the Lionheart is buried, and visit the town square where Joan of Arc was burned at the stake. Fares from £2,239 per person (two sharing), including all meals, unlimited drinks, shore excursions and local entertainment. Departing on December 28. See www.uniworld.com or call 0808 168 9231. Explore one of the world’s great rivers with AmaWaterways on a Mekong cruise that includes hotel stays in Saigon and Hanoi, plus an overnight on board a traditional junk among the islands of Ha Long Bay. And that’s not all – you also spend three nights in Siem Reap, exploring the mysterious temple complexes of Angkor Wat. AmaWaterways’ European ships are the most luxurious afloat, according to the Berlitz Guide, and while the AmaDara is of a completely different design to the boats on the Rhine and the Danube, the service on board is just as good. To get the most out of a trip like this, you’ll need to be prepared for long days visiting once-in-a-lifetime destinations. Don’t be afraid to pass on one of the monastery visits if you feel in need of a lie-in, but don’t miss out the hectic city of Phnom Penh. Fares from £4,579 per person (two sharing) for a total of 17 nights, including pre-cruise hotel in Ho Chi Minh City, post-cruise hotel in Hanoi and visit to Ha Long Bay. Overnight flight departs from the UK on December 26. See www. amawaterways.co.uk or call 0800 320 2335. The intimately luxurious Seadream II carries just 112 passengers, attended by 95 crew, around the Caribbean playgrounds of the rich and famous. Seadream’s nine-night New Year extravaganza is round-trip from St Thomas in the US Virgin Islands and includes a double overnight stay on December 30 and 31 in the jet-set haven of St Bart’s. Pocket-sized Seadream can drop anchor in some of the smallest and most exclusive Caribbean coves – on this voyage they include Sandy Ground, Anguilla; Soper’s Hole, Tortilla; and Peter Island in the British Virgin Islands. The ship carries its own water sports equipment, and most drinks are included. Fares from £4,890 per person, cruise only (two sharing), including all food, selected drinks, and water sports facilities. Departs St Thomas on Dec 30. See seadream.com or call 0800 783 1373. Two cruises back-to-back on board Thomson Dream combine Caribbean sun, Mayan treasures and Cuban fun. Sailing from Montego Bay, Jamaica, you take in Roatan, Honduras, before encountering ancient civilisations at Belize and Mexico’s Costa Maya and Cozumel. A day at sea precedes the return to Montego Bay, from where the 1,500-passenger ship then takes off for Georgetown in the Cayman Islands, and two days in the vibrant Cuban capital (including a visit to the spectacularly decadent cabaret at Havana’s Club Tropicana), followed by a return visit to Cozumel. Fares from £1,511 per person (two sharing an inside cabin), including return flights, transfers, tips and service charges. Depart from Gatwick on December 27. Visit your local Thomson travel shop or thomson.co.uk, or call 0871 230 2800.